Also working collaboratively with other local practices in the area. Known as Ribble Bank Medical Group. Established for over 30 years and with patient needs at the heart of everything we do our GP's, Practice Nurses and Support Staff are all committed to providing a high quality primary care service, working with you to maintain and improve your health. We are a well regarded training practice and have GP Registrars and Foundation Year GPs working with us throughout the year. In addition to the usual medical services including health promotion, chronic disease management, immunisations, family planning, child health, antenatal and postnatal care, the practice also carries out minor surgery procedures. Our website has been designed to make it easy for you to gain instant access to the information you need. As well as specific practice details such as Opening Hours and How to Register, you will find a wealth of useful information covering a wide range of health issues along with links to other relevant medical information. You will find updated and important information in the menu on the right hand side. Take a look at our Latest News link for information updates. 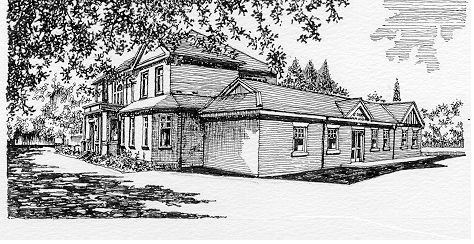 St Fillans Medical Centre welcomes patients. If you have moved into the area and wish to register at our surgery we are currently taking new patients onto our list. The practice has made every effort to ensure easy access to the building and toilet facilities are available for the disabled. All patient facilities are located on the ground floor of the building, An area to the left of the main reception desk has been lowered to help facilitate wheelchair access. The practice is happy to accommodate breast feeding mothers and will allocate a private room on request. Baby changing facilities are available and located in a side room. Please ask reception if you require use of this facility. From May 2018 there will be hearing service operating from the surgery. Please see information leaflets in the main waiting area or telephone for further information. For information on when the next session is to be held, please contact the surgery. The sessions are now by appointment only. If you are interested in attending on this date or in the future, please speak to the receptionist who will be able to allocate you an appointment. There will be available a health professional who can give you advice in respect to arthritis. Information on services available to suffers of arthritis, tips on coping day to day. Please pick up a leaflet from the main reception desk or contact:- gillp@arthritiscare.org.uk or telephone Gill on 07734 238 682 for further information. We are now able to offer a further Stop Smoking service for patients wanting help and support. This clinic will now be held with a Stop Smoking Advisor on a Monday. Leaflets are available within the surgery. If you are interested in attending the clinic, please contact the surgery. The Practice Nurse is still available if you wish to see her in respect of stopping smoking or any other health clinics the surgery offers. 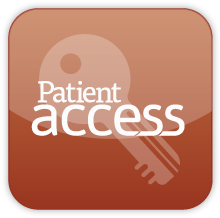 THE PRACTICE IS CURRENTLY WORKING TOWARDS ALLOWING PATIENTS ACCESS TO THEIR ELECTRONIC RECORD. AT THE CURRENT TIME WE HAVE ENABLED THE FOLLOWING:- ACCESS TO MEDICATIONS, ALLERGIES AND INTOLERANCES AND IMMUNISATION HISTORY. FURTHER ACCESS TO CONSULTATIONS CAN BE ACTIVATED ONCE THE PATIENT HAS COMPLETED THE NECESSARY CONSENT FORM THAT IS AVAILABLE FROM THE MAIN RECEPTION DESK. YOU HAVE A CHOICE! If you are happy for your information to be used in this way you do not have to do anything. Late appointment availabilty is currently available on a Wednesday, running from 6:30pm. They are specifically for working patients unable to attend during the day. Please do not request evening appointments if you are able to attend during the day. The surgery currently runs a regular Patient Representative Group to listen to and address patients' suggestions on the running of the practice. We would like to invite patients to be part of this group, either by attending quarterly meetings, or by joining a the St Fillan's virtual group and corresponding by email. Anyone interested, please contact the practice manager. The minutes from the latest meeting are available by clicking on the 'Patient Group' icon on the right of the website. Patients who are new to the surgery are asked if they would like to be involved in the Group. We also have posters in the main reception area and each time we publish a practice Newsletter, quarterly, we ask for volunteers. We struggle with the 20-30 age group and have started to ask parents who attend the Child Health Clinics if they are interested in joining the Group. There is a pharmacy on-site and is independant from the surgery. The pharmacy is open until 10pm every night. It is the choice of the patient as to which pharmacy they wish to use. Electronic Prescription Service is now available. We invite patients to nominate their preferred choice of pharmacy to enable the new service to deliver their medication electronically. This service will only work if a nominated pharmacy has been given. The new service means a patient no longer needs to pick up a paper prescription. The request is sent electronically to their chosen pharmacy and in most cases this process is quicker than the 48hrs required. Please speak to your pharmacy or one of the surgery receptionists if you would like to use this service. The practice has a defibrillator on site. There is also a community defibrillator situated outside Roberts & Co, Estate Agents, 36 Liverpool Road, Penwortham, Preston, PR1 0DQ.